Studied undergraduate architecture in Istanbul Technical University (ITU). Graduating with an Archiprix honorable mention award with his thesis project, he took part in various architectural design offices, and continued his academic research in ITU master of architecture graduate program. His initial work has been exhibited in some exhibitions like Resfest, Fibrous Room and Contrary Education. In 2010 he was awarded tuition scholarship by Turkish Education Foundation and studied in Pratt Institute, in Master of Science Architecture program. He worked on the thesis named “a (new) typology and topology of public space in the time of location based social networks” and graduated with excellence in academic achievement award. Also he worked as a design studio teaching assistant in the same school. He organized several workshops internationally, and attended academic symposiums. His architectural interests include systematic thinking, patterning, transformations, natural behavior, ecological thinking and design innovation. His research includes speculative experimentation with material research, which moves architectural objects into parts of systems or patterns as dynamic entities. His works are published internationally in various publications. 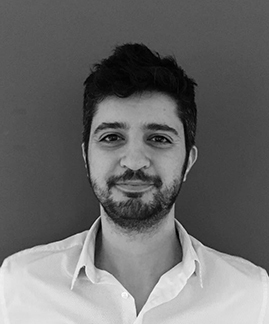 He worked in ŞANAL arc, where lead the innovation consultancy and as well working as design architect. After this experience he worked in the architectural design firm ‘studio per se’ as partner. His teaching career continued in Izmir University of Economics, as adjunct professor in undergraduate architecture program. He recently worked in Kuwait International Airport Project in GMWM as Architecture BIM Coordinator and meanwhile works as adjunct instructor in Kadir Has University undergraduate architecture program.